The Spring 2017 semester at California State University, Northridge is well underway and just around the corner is the most anticipated time of the academic year — commencement. Seniors who have applied for graduation by March 3 are eligible to participate in Spring 2017 commencement ceremonies with their names published in the program. 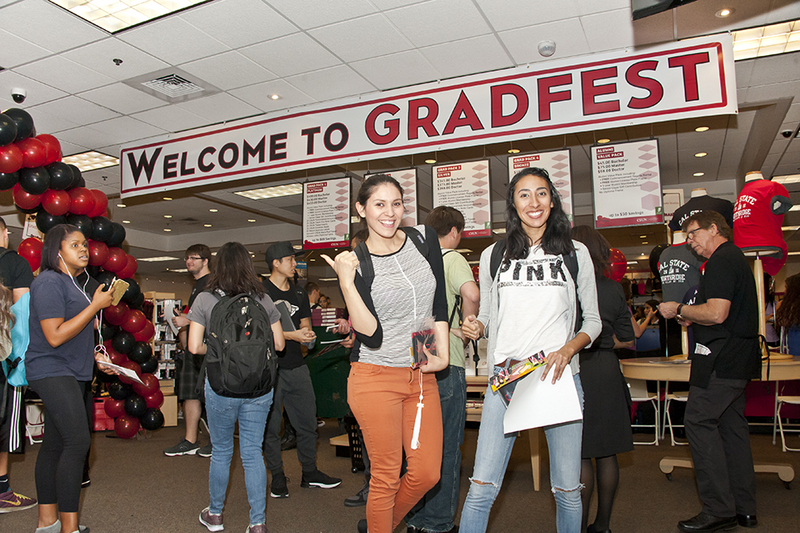 Those students who received a completed graduation evaluation email and are planning on attending commencement ceremonies this semester are encouraged to attend GradFest on March 15 and 16, from 9 a.m. to 6 p.m. in the Campus Store Complex. GradFest is a one-stop-shop for graduating students where they will receive important information about their graduation ceremony, rent caps and gowns and take cap-and-gown portraits. Caps and gowns will be available for pick up during the first week of May. Attendees will also learn how to reserve guest tickets, join the Alumni Association, purchase grad-related items such as announcements and diploma frames, and learn how to contribute to the Senior Class Gift. The tradition of Senior Class Gift is students’ first chance at leaving a legacy on campus by giving back to their alma mater and enhancing the CSUN experience for those who follow. The suggested Senior Class Gift donation amount is $20.17, but can be of any size, and will help provide support to the CSUN Food Pantry, MataCare Fund and CSUN Alumni Relations services. A special offer for Grad Packs will be available for students to purchase during GradFest. Packages are available for all budgets, starting at $45 for undergraduate and $75 for master’s packages. Grad Packs include dues for the graduates’ first year in the CSUN Alumni Association. For more information on Commencement 2017, visit http://www.csun.edu/commencement.